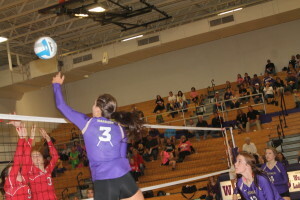 Winner varsity volleyball team competed in the SESD tournament Saturday in Platte. The Lady Warriors were 2-2 for the day. Sydney Fritz was named to the all-tournament team. Platte-Geddes defeated Winner 17-25, 25-23 and 21-25. In the next match, Winner defeated Gregory 23-25, 25-18, 25-16. Mt. Vernon/Plankinton defeated Winner 15-25, 25-27. Winner defeated Scotland 25-10, 25-21. “We played very good one game and then we would struggle getting anything going the next,” said coach Jaime Keiser. She said the team played inconsistent all day. “We did a great job of passing the ball in serve receive but had a lot of hitting errors which gave our opponents lots of unearned points. We same some great teams and had had great competition,” said Keiser. Earlier in the week, Wagner defeated Winner 3-0. 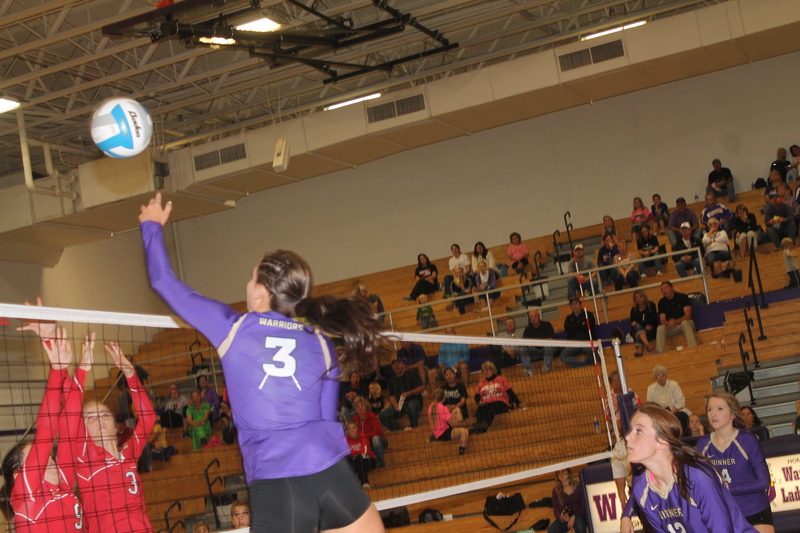 The scores were 21-25, 16-25, 14-25. The Lady Warriors will close out the regular season when they travel to Mt. Vernon/Plankinton on Oct. 29. The varsity and junior varsity matches will be played in Plankinton. The regional tournament starts on Nov. 5.